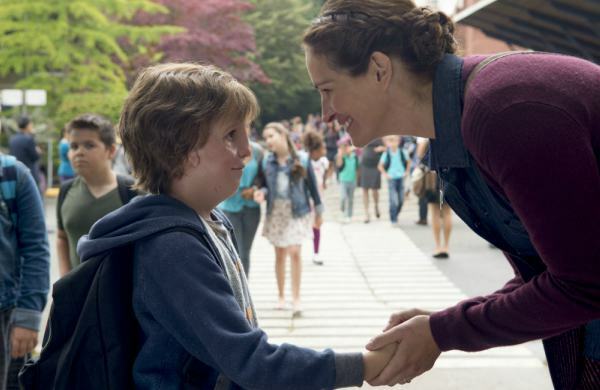 Drama directed by Stephen Chbosky which centers on August “Auggie” Pullman (Jacob Tremblay) a young boy born with a facial difference who has been in and out of hospitals for years. With the help of his mother, Isabel (Julia Roberts) and his father, Nate (Owen Wilson), he tries to fit in at a new school named Beecher Prep and shows everyone that he is just an ordinary kid, no different than the rest of the world. He strives to teach others that beauty is not just on the outside. Auggie Pullman: [voice over] My name is Auggie Pullman. Next week I start fifth grade, and since I’ve never been to a real school before I’m pretty much totally petrified. Absolutely. Auggie Pullman: [voice over] I know I’ll never be an ordinary kid. People don’t like to touch me, because they think I’m contagious. Isabel Pullman: I’ll meet you right here after school. Okay, right here. I love you. Auggie Pullman: I love you too. Isabel Pullman: I’ll see you later. Via Pullman: Can you hear me? Nate Pullman: We’re going to have a little man to man. Nate Pullman: Now, I got to stop here because past this point is a no dad zone, and you don’t want to walk up with your parents because it’s not cool. Auggie Pullman: But you’re cool. Nate Pullman: I know I am, but technically most dads aren’t, so. And neither are these helmets. Nate Pullman: Shall we lose this? Come on, costumes are for Halloween. Prepare for blast off. Nate Pullman: I love you. Isabel Pullman: Dear God, please let them be nice to him. Auggie Pullman: Mr. Tushman went out of his way to tell me how sweet those kids were and that Julian is apparently quite the dream. Isabel Pullman: No. Not a dream? Is he one of those kids that acts one way in front of grownups and then another way in front of kids? Auggie Pullman: Yeah, I guess. Isabel Pullman: Well I know it’s hard, but you have to understand that he probably feels badly about himself. And when someone acts small, you just have to be the bigger person, alright? Mr. Browne: Can anybody tell me what this word means? Anybody? No? Precepts are rules for really important things. Mr. Browne: Like mottos or like famous quotes or like, um, lines from a fortune cookie. Right, precepts can help motivate us. They can help guide us when we have to make decisions about really important things. Okay, so who wants to read this month’s precept? Mr. Browne: What about you? What’s your name? Mr. Browne: Summer. Want to give it a shot? Julian: [to Auggie] Incubator, bunsen burners, oh, and this is an eraser. You know what an eraser is, right? Classmate: Look at his face. He’s a freak! I’ve never seen anything that ugly in my life! Julian: If I looked like him I’d swear I’d put a hood over my face. Auggie Pullman: You don’t have to do this. Summer: I don’t know what you’re talking about, Auggie. Auggie Pullman: You don’t have to pretend is all I’m saying. You really don’t. Auggie Pullman: Okay, I’m really sorry. Why are you sitting here then? Summer: Because I want some nice friends for a change. Julian: Hey, Jack, come sit here. Jack Will: In a sec. Auggie Pullman: I don’t like eating in front of people. Jack Will: What do you mean? Auggie Pullman: I think I chew like some prehistoric swamp turtle. Jack Will: No joke, me too. Jack Will: I’d like to be able to control the weather. Auggie Pullman: That would be your super power? That sounds pretty lame. Jack Will: What would you do? Auggie Pullman: I’d be invisible. Jack Will: Have you ever thought about having plastic surgery? Auggie Pullman: Dude, this is after plastic surgery. It takes a lot of work to look this good. Via Pullman: [to Auggie] You’re the toughest kid in that school. Show them. You can’t blend in when you were born to standout. Show them. Isabel Pullman: [to Auggie] We all have marks on our faces. Isabel Pullman: This is the map that shows us where we’re going. Isabel Pullman: And this is the map that shows us where you’ve been. Auggie Pullman: [voice over] Every time I came home from the hospital, Daisy was here. She was a real friend, and real friends are hard to find. Auggie Pullman: [voice over] Walking up towards that stage, I felt like I was floating. My heart was beating so fast. I didn’t really understand why I was getting a medal. It’s not like I blew up the Death Star. All I did was get through fifth grade, just like everyone else here. Mr. Tushman: Congratulations. Here you go. That’s for you. Auggie Pullman: [voice over] Then again, maybe that’s kind of the point. Maybe the truth is, I’m really not so ordinary. Maybe if we knew what other people were thinking we’d know that no one’s ordinary, and we all deserve a standing ovation at least once in our lives. My friends do. My teachers do. My sister does for always being there for me. My dad does for always making us laugh. And my mom does the most, for never giving up, on anything. Especially, me. It’s like that last precept Mr. Browne gave us. Be kind, for everyone is fighting a hard battle. And if you really want to see what people are, all you have to do is look. What do you think of Wonder quotes? Let us know in the comments below as we’d love to know. Wonder (2017) is a film directed by Stephen Chbosky and stars Julia Roberts, Owen Wilson, Jacob Tremblay, Mandy Patinkin and Daveed Diggs. It follows the tale of August Pullman (Jacob Tremblay), affectionately known as Auggie, who was born with a severe facial disfigurement and is beginning his first year in mainstream schooling. While the film explores a thought provoking subject not yet covered by Hollywood it is done so in a very conventional and stock standard way. The film is clearly following a formula that has been tried and tested hundreds of times. 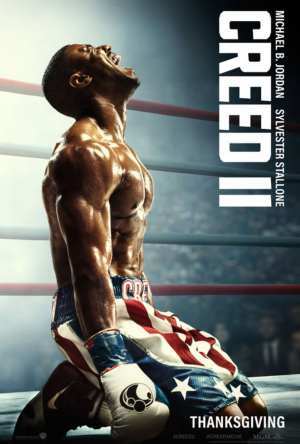 The film is a feel good movie, slightly predictable at times and without any unseen complications. I was also slightly disappointed with the cast choice, feeling that Julia Roberts and Owen Wilson were too perfect in appearance and do not truly represent any average family. I was also disappointed in their choice to cast Tremblay in the role of Auggie instead of an actor with a real facial deformity. However mundanely I have painted this film, it is clearly aimed at a younger, less sophisticated audience and is an example of one of Hollywood’s new age of movies aimed to socially construct the next generation of young people. I would recommend this film to any children 11-14 and would ultimately give it 3 to 3 1/2 stars.